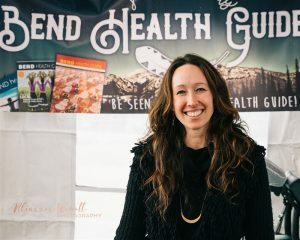 Bend Health Guide is a collective of Health Providers in Central Oregon, including Acupuncture, Chiropractic, Doulas, Massage Therapists, Naturopaths, Health Coaches and more. We are promoting a Healthy Lifestyle through nutrition, fitness, Yoga and reconnecting to nature. Join our Meet Up page and Bend Health Group on Facebook to learn more about us! 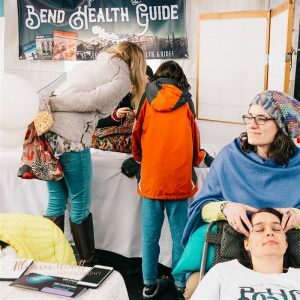 We do festivals in Bend where we offer Massage & other healing modalities, look for us at the Bite of Bend next! 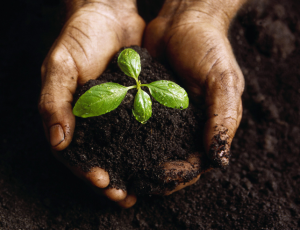 Grow your Health Business with us in our Printed Guide out twice a year! Or Join our Online Health Directory for only $111!